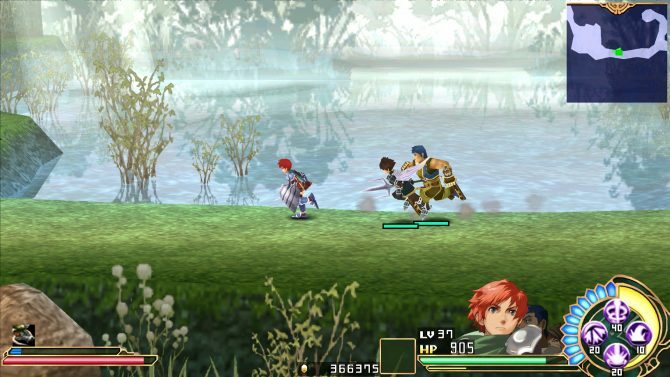 Ys Seven, originally released in 2009 for the PlayStation Portable, takes Adol on one of his grandest adventures yet, exploring Altago. 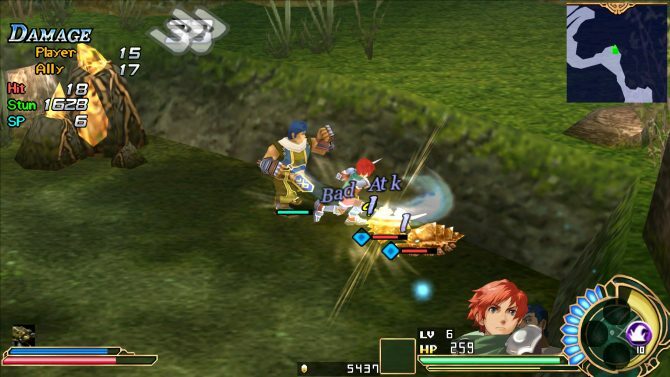 Chronologically, Ys Seven takes place last in the current Ys timeline and presents large steps forward in terms of gameplay and battle systems in the series. Now, publisher XSEED has unchained Ys Seven from the confines of being a PSP exclusive and brought the game to a much larger audience, which could potential gain the series more of a following in the west. DualShockers released an official review of Ys Seven when it launched in the west in 2010, giving it an 8.5 out of 10. I’ll be offering a fresh new opinion about Ys Seven, while checking out some of the upgrades found in this new PC version. Ys Seven begins with Adol and Dogi arriving at the Capital of Altago, a place that Adol has been wanting to explore for some time now. After venturing around the Capital, Adol sees a group of soldiers using their power to try and get a women to submit to their charm. Adol and Dogi decide to intervene, which subsequently gets them thrown in prison. 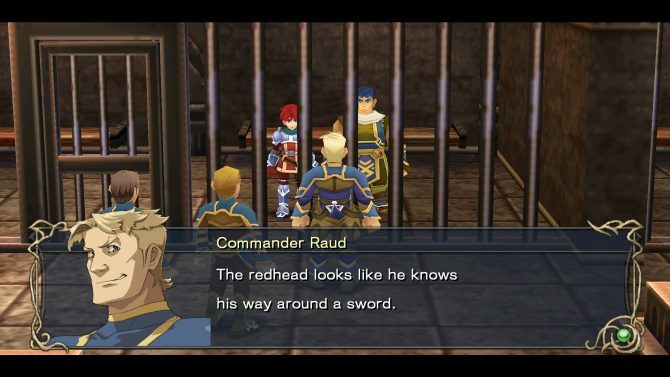 However, the King recognizes Adol from the description of his red hair and hires him to go on an adventure and seek out the troubles that face the lands. I must say that the premise of Ys Seven is such a typical thing that would only happen to Adol. He’s heading somewhere leisurely and then gets thrown into a huge adventure, that he willingly accepts. Coming from Ys: The Ark of Napishtim, Ys Seven takes many chances with it’s story, systems, and item collecting that in my eyes take the series forward to what we see in the more recent entries. Ys Seven’s battle system does not use the elemental weapons that fans of the series are used to. 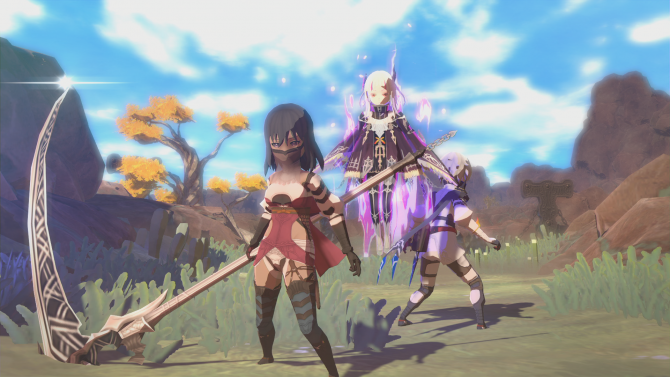 Instead, party members need to be quickly switched in battle depending on the enemy’s weakness. 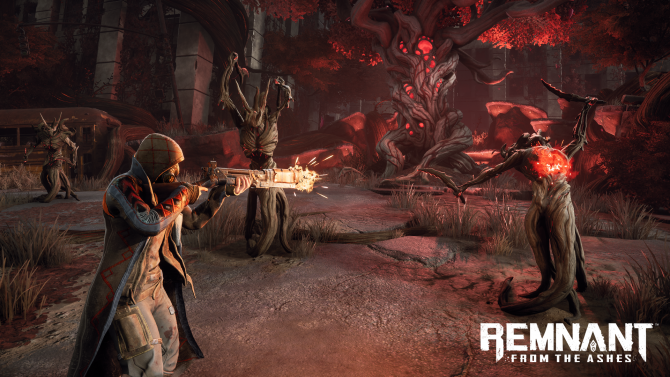 These weapon types includes Slash, Strike and Pierce, which a member of your party will fill the role of at all times. I enjoyed this system as it forces the player to use each character and not just choose a favorite and only play as them for the entirety of the game. Throughout the maps, there are item gathering points that you need to stop at in order to search for materials. I’ve always thought this system took too long which took precious moments of time when I could be fighting instead. Although this system was fixed in Ys: Memories of Celceta, I wish it could have been sped up a bit in the PC release. These materials can be traded in for other goods, or used to upgrade items, which means it plays a huge role in the game. 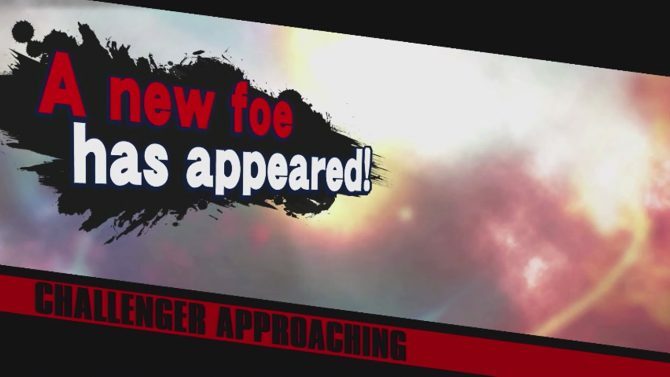 With that said, you’ll receive materials and money in battles as well, so you can’t really escape the item drops in this game. Ys Seven borrows from the Trails in the Sky series, another of Falcom’s IPs, and opens up the town to be fully explorable. This means there are many random houses that you can just peak in and see what the inhabitants are doing. There are many citizens that you’ll meet over the course of the game that offer their backstories and personal opinion on things. That being said, there is a lot of text in Ys Seven, but it balances out and ends up with the game being equal parts action and story. Throughout Ys Seven you’ll meet new party members and gain new skills that can be used in battle. each of these skills are quite colorful and look great running on PC, even though they looked great before from what I can remember. 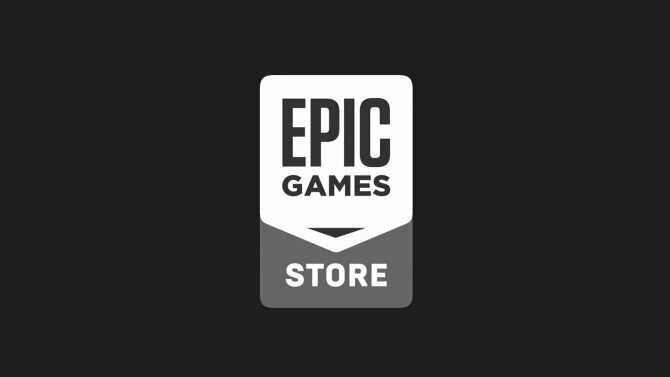 However, back when the game released you pretty much settled for what was there because you had nothing to compare it to. 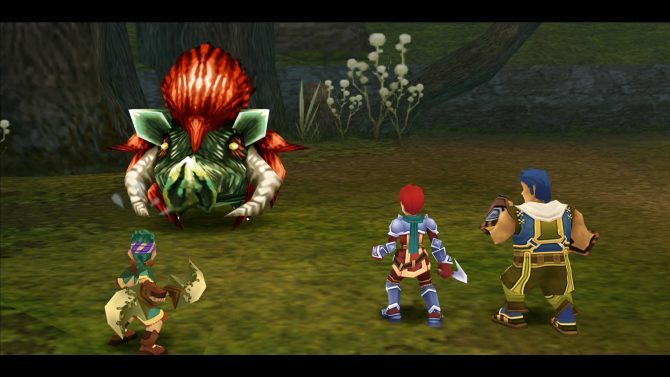 For its time, Ys Seven was a beautiful game that pushed the PSP to its limits. 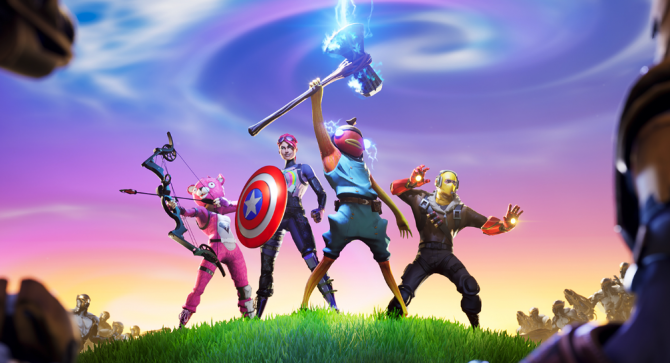 Now on PC, the game looks amazing and I can’t see myself playing it any other way. I remember spending long hours of my nights in 2010 playing through Ys Seven on my PSP. True, the screen was small the resolution wasn’t the best, but I was still having one my best video game experiences. Playing through the PC version showed me that I still had that love for the series that I had when playing it on the PSP, even though I don’t find myself turning on the handheld anymore. Ys Seven PC’s upgraded resolution and framerate allow the game to fit in well in the modern PC RPG space. One of the best improvements in the game are some of the bigger boss battles that returning players will quickly notice. Some of the bosses encountered can be huge and take up most of the screen, which made these fights a little more difficult on the PSP, not to mention the affected framerate. 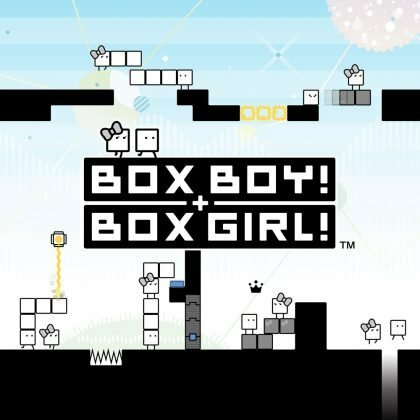 Usually these bosses have a weak point, but the whole battle takes skill and patience as the player needs to dodge and attack at the right time, unless they want to face a game over screen. Interestingly, Ys Seven PC can be played on the highest setting and run smoothly — even on lower-performing rigs. This is coming from some with a PC that had trouble with Trails of Cold Steel on the highest settings. Additionally, there is an option 4K resolution that I don’t have a supporting monitor for, but the option is there. 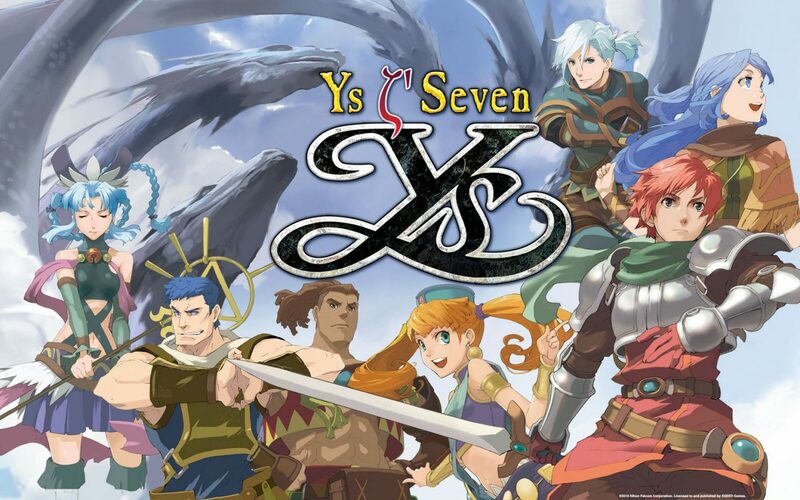 Ys Seven PC improves the playability of the game immensely for modern gamers, while giving older fans a chance to replay the game with upgraded visuals and framerate. Even though I still hold onto the memories of playing Ys Seven on PSP, I couldn’t help but feel amazed at how these improvements affected the gameplay. 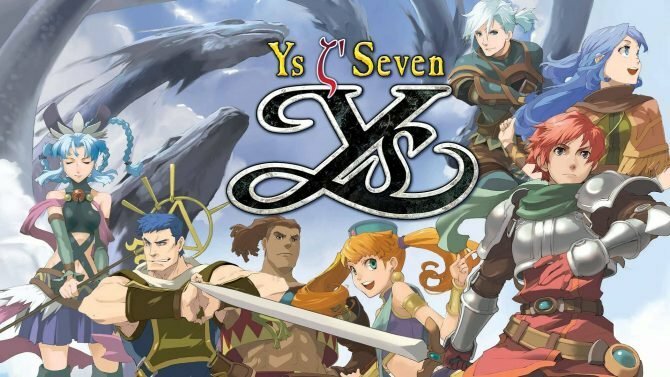 If you’re looking for a fast and fun action RPG with a lengthy story, then Ys Seven is going to satisfy your craving. Even with the dated polygon visuals, I feel like Ys Seven’s fast and easy to pick up gameplay systems allow it to still be relevant eight years after it originally released.